It's time to ACT... Authentic, Committed, Tenacious - My "Word" for 2019! New Year's Eve always comes on me like a sleeting, snowy mixture of to beautiful snowflake filled days and bitterly cold nights - it's a time to reflect and course correct. 2018 has been a year of great growth and change for me. But like the cocoon unsnarled in his nest, to emerge and to move forward, is like a rebirth both beautiful and painful at the exact same moment. My life has changed so much since then it is truly unbelievable. I began dating a "platonic Photography friend" I met John thru my dear friend Nyla, our Modern Widows Club Houston Chapters Leader, in a French Cooking Class she invited me to. We started dating and traveling and sharing our lives together. I got a job. I really starting living as a brand new me. It's different and not everyone likes it. It is hard on many. I have less "free" time to share with family and friends. Between my new love relationship, a new job, and taking care of myself for the first time in forever, I have had to make some shifts and shimmies to make life work. But it is working. It has been a breaking out of the past into the new... that moment of truth when the new child emerges all covered in new birth, to be caught, and cradled, and clothed to be all clean, and loved in new life. Again. 2018 was truly a wonderful year of wonder, of wisdom, of growing and learning. The road less traveled for sure. I could never imagine the places I've been, the wonderful beautiful family and friends I have met because of John, and the new "we" we are creating. Since he is a widower too, after many many years of marriage he gets "it" and most of all, he gets me. He actually loves the brand "new me." Wow! "To be in Love Again with a Man that Loves Me for the "New" Me! I wrote the card shared above during Jodie Rodenbaugh's retreat. 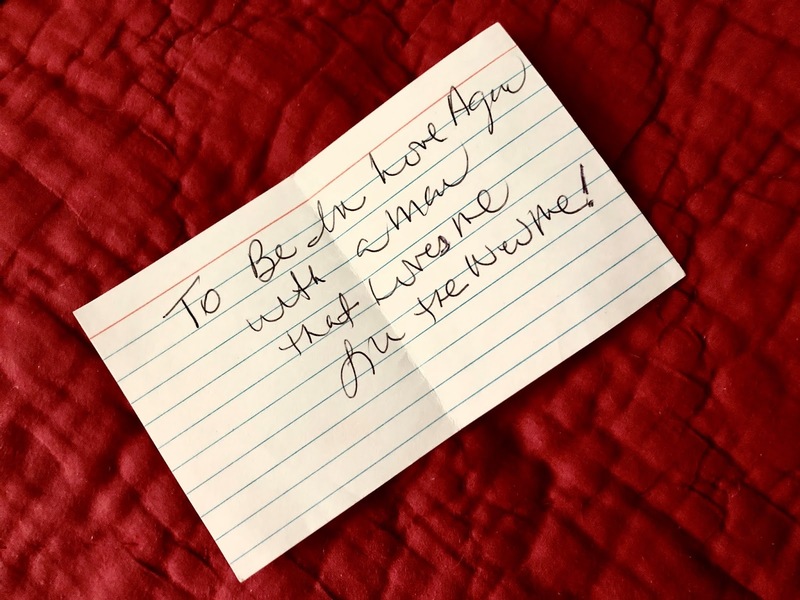 I found it in my nightstand while decluttering the other day... My heartfelt prayer was "To Be In Love Again with a Man that Loves ME for the 'New' me. Wow. I had totally forgotten the note until I found it. Then I realized it was real. It was happening. I am living it. I cried when I reread it. Now. Changed. Loved. Transformed. The Vision is Real. We are standing in the middle of it in faith. And I believed. 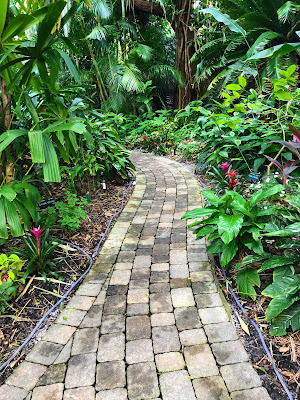 When I counseled with Carolyn Moor, one of the things she tells us is to choose a word that describes how we want to feel at the end of the year...instead of setting goals first, you choose your perfect word to describe how you want to feel. In 2018 I wanted to be LOVED again! My Word for 2019 is ACT; Authentic, Committed and Tenacious. I'm Holding on with all my power! As widows united together through MWC, we are moving forward, arm in arm. We are finding our wings. We are beginning to take flight. We will hope again. We will love again. We will live again. I promise. We never lose love. We may miss love, but it lasts forever. It never really leaves us. We can only add love. Take a chance. Make a choice to take a chance to make a change and don't' look back. In other words, ACT! We shall overcome and live, and laugh and love again. It's true. Don't be afraid to see where the road leads you. You may want to consider a road less traveled. No matter where your journey takes you, I wish you all the best. Remember Love Lasts Forever. Always.